Scientists have revealed that climate change impacts crops. They have also developed a new tool that can help them monitor the changes the crops suffer. Scientists from the University of Illinois try to connect two different types of computational crop models. In this way, the predictions related to crop production could be more reliable. Kaiyu Guan is an environmental scientist at the University of Illinois and also the principal investigator on the research. He indicates that a class of crop models relies on agronomy, while the other is based on earth system models or climate models. They have developed these crop models for distinct purposes, applying them at different scales. Each model has its weaknesses and strengths. Hence, researchers’ main concern is to combine the strengths of both kinds of models to develop a new crop model. In this way, scientists would benefit from a new crop with better prediction performance. Guan together with his team of scientists has introduced and analyzed a brand new maize growth model. This model is known as the CLM-APSIM model. It combines strong features from both the Agricultural Production Systems sIMulator (APSIM) and the Community Land Model (CLM). Bing Peng is a postdoctoral researcher in Guan’s lab and the lead author of the new study. He argues that the main maize model in CLM has three different life cycles. Researchers have noticed that important developmental stages are missing. For instance, flowering is one of the crucial stages they could have used in the model. This makes it impossible for them to apply critical stresses like high temperatures or water stress. That is why they find the development of a new crop model to be the most useful solution. Researchers have incorporated the development scheme of APSIM with its 12 stages into the CLM crop model. This integration helped them highlight that the nitrogen deficits, soil water, and high temperatures can be considered in this new crop model. Peng argues that the entire team decided to use CLM as the hosting framework to introduce the new crop model. The reason why they did so is that this model can be connected with climate models and it is more process-based. Scientists can use this new tool to investigate the impact of climate change on crop yields. They can also analyze the two-way feedback between a climate system and an agroecosystem in their future studies. Besides the fact that researchers have replaced the original maize life cycle model in CLM with the one in the APSIM model, they have also made plenty of other improvements. The new model also features a grain number simulation scheme and a new carbon allocation scheme. Furthermore, scientists have also implemented a refinement to the original structure scheme of the canopy. Guan has also indicated that the most important improvement they have made relies on the fact that the new model is about to get the “right yield with the right mechanism”. He also suggests that the original CLM model did not correctly estimate the above-ground biomass. Furthermore, it overestimated the harvest index of maize. This has lead to the right-yield simulation which had the wrong mechanism. However, the new model managed to correct this flaw in the original CLM model. Nevertheless, Peng claims that the phenology scheme of APSIM is generic. Researchers can easily extend their new model, simulating the growth processes of other crops, like wheat and soybeans. Scientists have already started working on this, being part of their plan. Peng says that they have conducted their work on Blue Waters. This is a petascale supercomputer at the National Center for Supercomputing Applications (NCSA). The new study reveals how scientists have developed a new crop model to make it more resistant in harsh weather. Now, they have started working on an analysis regarding parameter sensitivity and Bayesian calibration of the new model. Furthermore, they also work on Bayesian calibration on a high-resolution regional simulation over the U.S. Corn Belt. These analyses would be impossible without the computational resources they can use on the University of Illinois campus. The study is called “Improving maize growth processes in the community land model: Implementation and evaluation”. It was recently published in Agricultural and Forest Meteorology. Bing Peng and Kaiyu Guan from the University of Illinois together with Min Chen from the Joint Global Change Research Institute of Pacific Northwest National Laboratory at Maryland have designed the new study. A multi-institute team co-authors the new paper. Yaqiong Lu and David M. Lawrence from the National Centre for Atmospheric Research, Timothy Arkebauer and Andrew Suyker from the University of Nebraska-Lincoln and Yadu Pokhrel from Michigan State University are part of the team. To develop this study, researchers have received funding from the NASA New Investigator Award (NNX16AI56G), the Blue Waters Professorship (National Center for Supercomputing Applications at the University of Illinois), USDA NIFA award and USDA National Institute of Food and Agriculture (NIFA) Foundational Program award. This paper did not only highlight the development of technology and how it made all possible for the development of a new crop model, but also the desperate need to combat climate change. One of the most serious problem at the moment is climate change which has started taking people’s homes through floods and the foods through extreme heat. 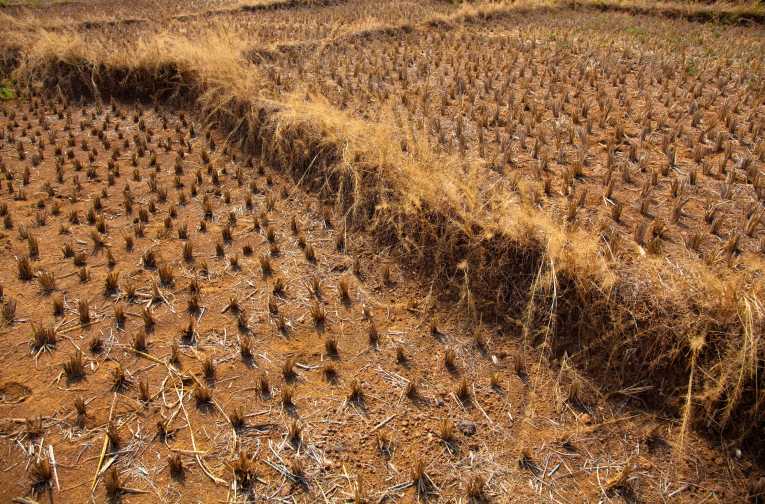 Many crops are unable to adapt to new average global temperatures. Therefore, researchers need to find ways to find out how climate change impacts crops and how they could stop this. Besides that, they should also engineer some of the crops to make them more resistant to future heatwaves or higher temperatures. The massive amount of greenhouse gas emissions triggers global temperatures to rise, affecting the production of food in many parts of the world. Soon, we will starve to death because of severe droughts or disastrous floods. The crop models show how new crops will be able to survive in unbearable weather conditions, with increased temperatures. They also illustrate how plants will manage to grow in soil with poor amounts of nutrients.